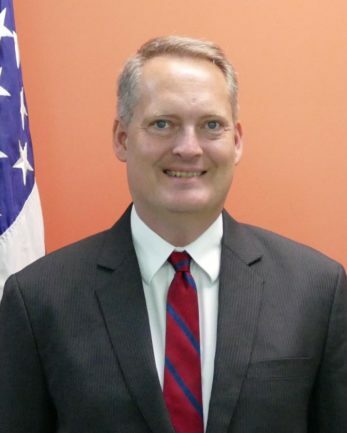 Tony Greubel assumed his position as Deputy Chief of Mission at Embassy Apia, Samoa in August 2017. Previously Tony was the Senior Pacific Islands Desk Officer in the East Asia Pacific Bureau’s Office of Australia, New Zealand, and Pacific Islands Affairs. He managed bilateral relations with five Pacific island countries—Fiji, Tonga, Kiribati, Nauru, and Tuvalu. From 2012-2015, Tony served as American Citizens Services Unit Chief at the United States Embassy in Beijing. In this capacity, Tony was also responsible for providing consular services to American citizens in North Korea, in coordination with the Embassy of Sweden in Pyongyang. Earlier in his career, Tony served as consular section chief in Surabaya, Indonesia, and performed consular and diplomatic work in Ottawa, Canada and Lahore, Pakistan. He also worked as a management analyst in the State Department’s Bureau of Consular Affairs. Tony received a bachelor’s degree from the University of Southern Indiana and a master’s degree from Indiana State University. He is married to Izumi Greubel of Shizuoka, Japan. They have two sons.